Phil accepted a new position in radiology at his current hospital. While he was notified weeks ago that he got the job, he needed to wait to start until his replacement was hired. Start date = today. Exciting, but stressful for him to start something radically different. I accepted a new job in my school district that I will transition to next fall. The end of the year included cleaning out my office, my files and contemplating giving up the years worth of special education information I had accumulated. The end of my school year is tomorrow. Allelujah. I am entering yoga teacher training over the summer. The 200 hour training will be condensed in to three intensive weeks of classes and some home study. I’ll do one week in June (starting this Friday! ), one in July and one in August. We decided, after a great amount of soul-searching to put our house on the market in the hopes of moving closer to Phil’s place of employment. While I’m currently lucky to have only a 10 minute commute, he’s driving closer to 50 minutes each way. And, as a friend told me, if a butterfly flaps it’s wings on the highway, or it snows (about 9 months out of the year right now), it can only increase. We’ve managed to hold our heads above water so far and I’m grateful for Phil’s endless patience and hard work. But when I really had to think about just how we were managing to keep our heads straight, I realized a few things that have kept me happy and healthy over these last few weeks. We walk every morning and every night. The dogs need exercise and so do we. On most mornings and evenings, we take them out around the 1.3 mile loop in our neighborhood. It gives the two of us a chance to catch up, out of ear shot of the kids, and we’re able to talk through any decisions while we’re doing something healthy for us and the dogs. Let’s clarify, it gives me a chance to talk Phil’s ear off and for him to listen patiently. If I don’t get to walk, I start to get as antsy as the dogs do now. 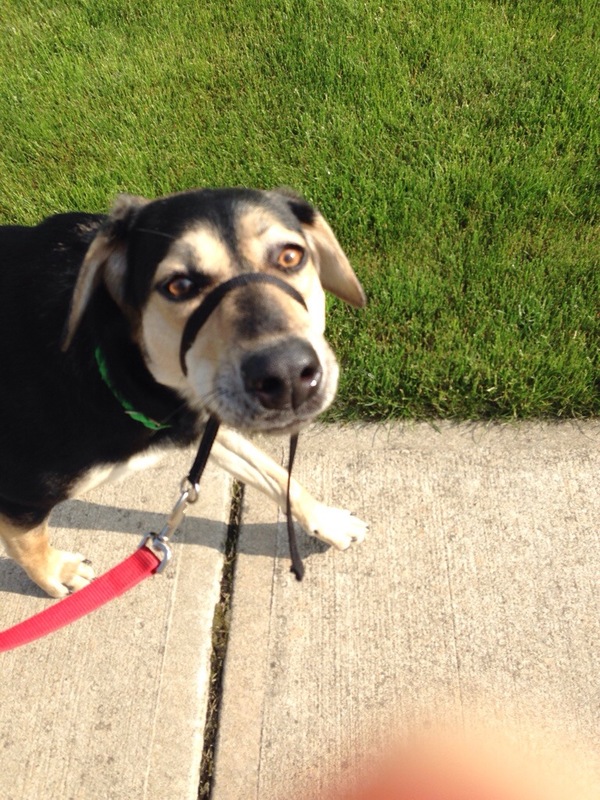 Scout – love that face! We haven’t given up on exercise. 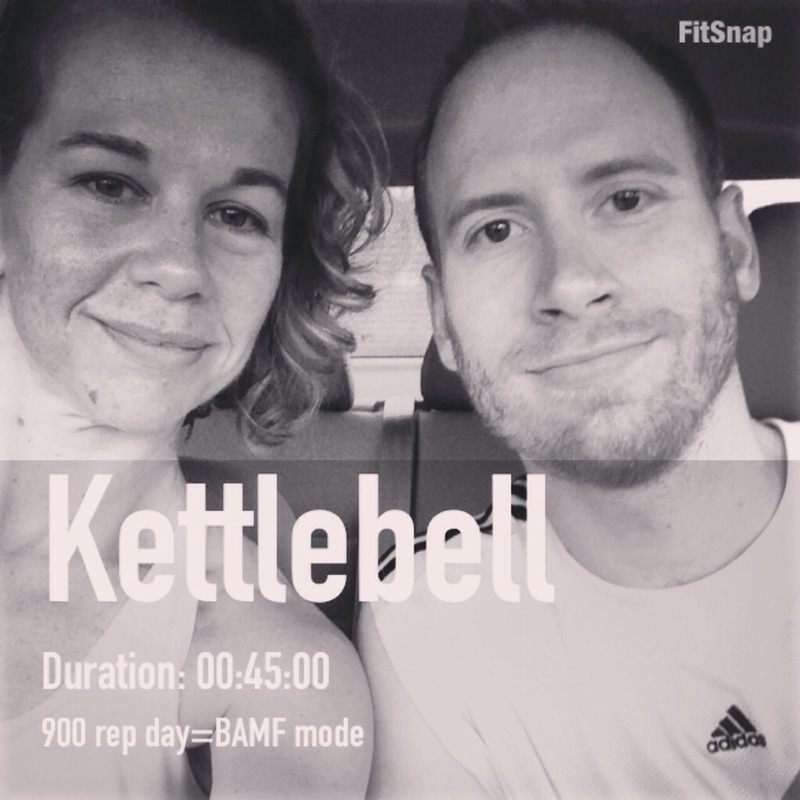 We’ve still attended our kettle bell class three times a week at the YMCA and my triathlon training is in full swing. We’ve made our health a priority, even if it means skipping a night of binge watching Game of Thrones. Sometimes the Targaryens win, so we’re just a little more sleepy the next morning. 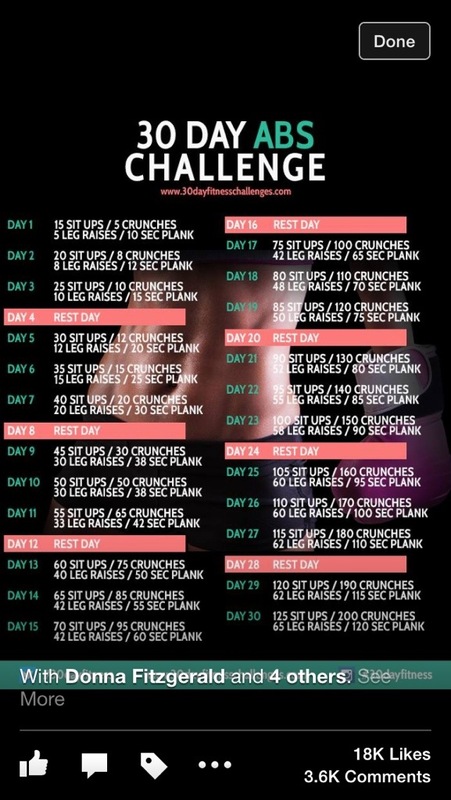 June’s 30 Day Ab Challenge- are you doing it? We’ve let the kids be kids. We’ve said yes to sleepovers, end of the year parties and eating too much sugar. But, faced with the prospect of moving across town and a wealth of change in their own lives, they need a chance to relax too. We’ve worked on clearing out material goods. Making our house look open and clean for the real estate photos included a lot of Goodwill donations. The less clutter we have, the better it feels around here. And since we have to be ready at the drop of a hat to show the house to potential buyers, it makes clean up a lot easier. So that’s us for now. I’m over the moon about starting yoga training and just got the chance to meet my fellow teacher trainees this past Friday. I’m excited to move forward on this journey with them, and also a little bit terrified. It’s a bit like standing at the starting line of a race, not knowing exactly how things will go, but hoping for the best. That’s essentially my entire life’s motto right now, but I’ve always believe that fear is a positive emotion. I’ll leave you with another blog article that I found wildly appropriate for this time of my life. I especially like the author’s reminder to “practice daily self-care.” My yoga teacher, Jennifer, recently advised that whenever we are in a job or role that requires that we take care of others we must take “impeccable” care of ourselves. That’s a high bar for me. I’m guilty of taking “below average” care of myself, so I’m working on being better to me. Have you ever gone through a period of intense change in your life? How did you stay “zen” amidst the challenges?